Smart doors are nothing new. They have become more sophisticated over the years. Many solutions now allow you to unlock your door with your phone. OKIDOKEYS happens to be one of those. 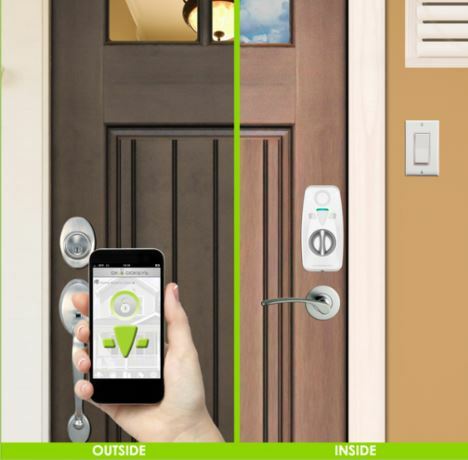 It lets you lock and unlock your home door with your Bluetooth 4.0 enabled smartphone. You can create, share, and revoke keys for your family members and friends. OKIDOKEYS supports 6 opening rules to make it easier to unlock your door when you are nearby. It sends you notifications when someone unlocks your door. You do not need to install any wiring to get this to work. As mentioned earlier, this solution is compatible with your iPhone 4s and later or any device that runs Android 4.3+. You can get these door locks in Satin Chrome, Satin Brass, and Antique Brass. Yet another way to make your home smarter.